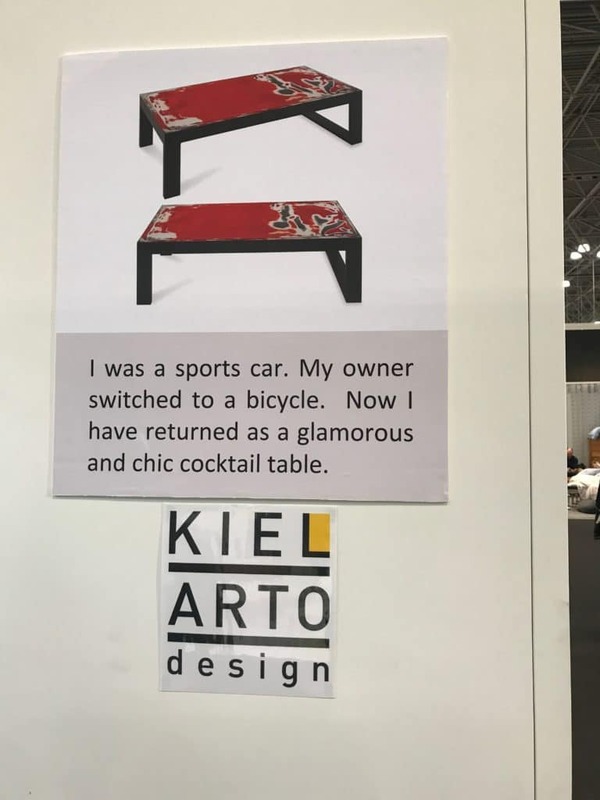 Kiel Arto Design is a new company repurposing automotive steel into designer, one-of-a-kind tables. I’m intrigued by the artistic process that uncovers a rich patina by removing layers of paint and coating. Let’s go inside the design mind of Kiel Arto and meet their muse and makers. 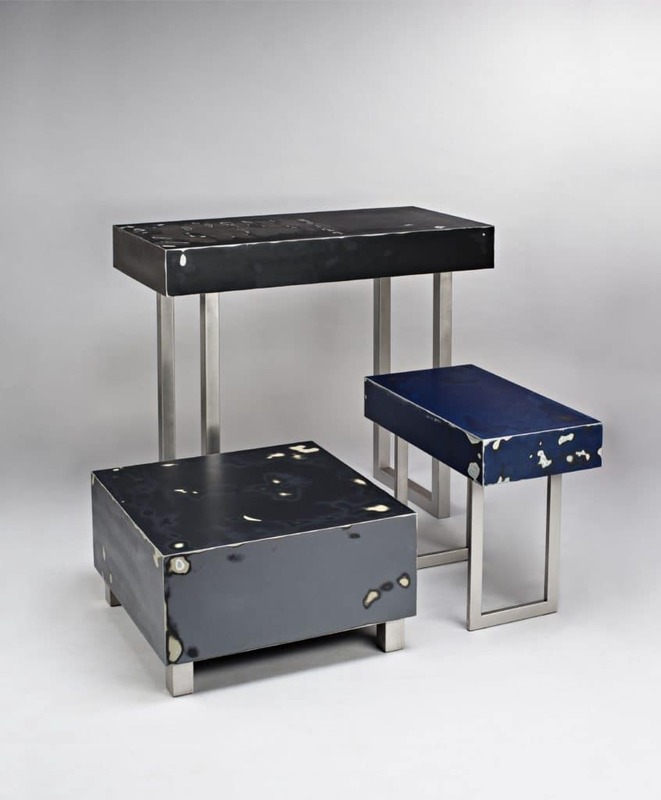 What inspired you to focus your craft on creating designer tables from reclaimed steel? One of our partners, Peter Kalnins, wanted to try something different. Everyone knows that old cars get scrapped, crushed and re-melted. This uses a lot of energy. Having always admired clever ways of reusing materials, Peter realized that painted auto body steel had a hidden beauty and potential. 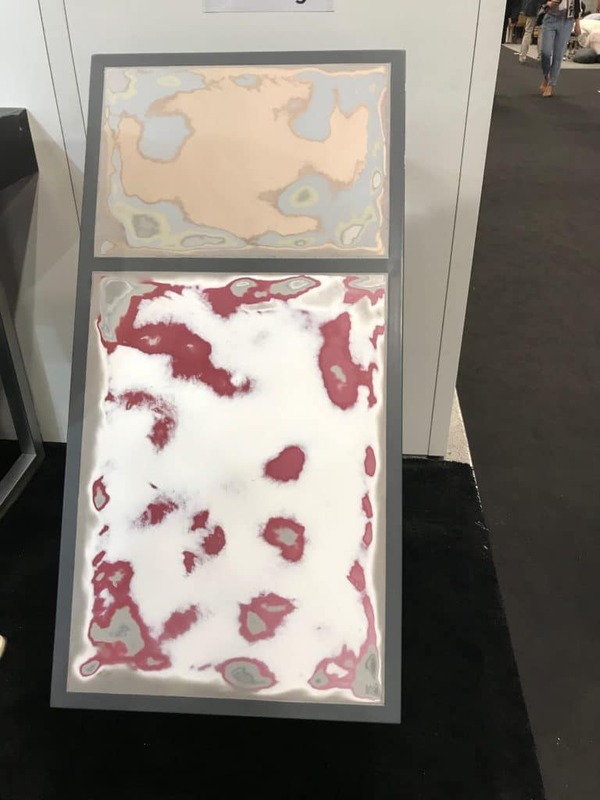 Automobile roof panels, which are rusting away in scrap yards, have numerous layers of color that can be exposed to reveal something beautiful. The layers consist of bare steel, rust protective coating, primer, paint, clear coat. 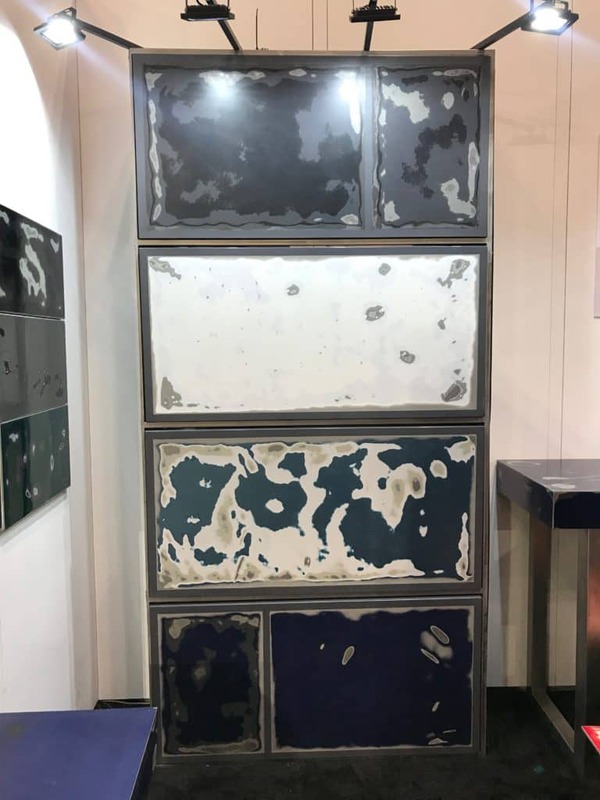 By gradually exposing these layers a painting can be made on the steel, and this then becomes a functional, practical piece of art – a table (or a wall tile, counter top, a decorative panel). Introduce us to your muse? The car roof really gives the artist his inspiration. Once the roof is removed, he looks for dents and scratches as a starting point. This urban patina is part of the history and story of the car. He gradually removes the layers of paint, follows the color patterns and combinations to create the design that eventually appears. How do you envision your pieces used in a living space? 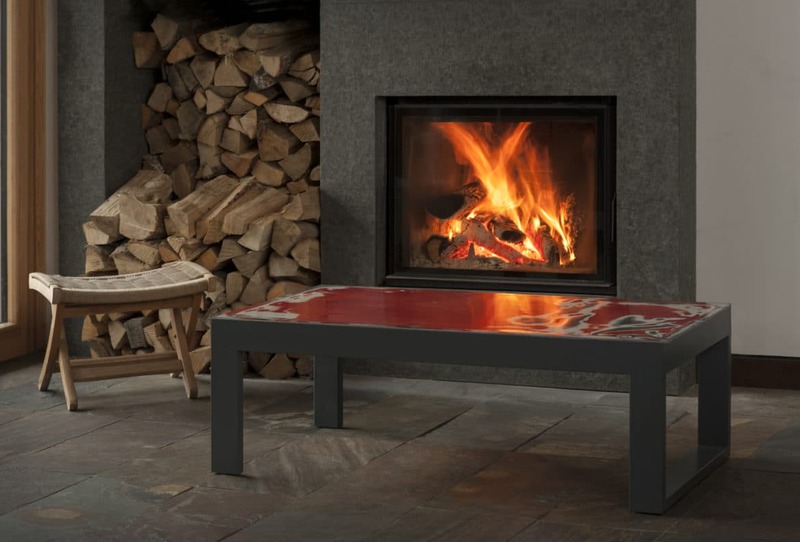 We envision our tables being used by people who appreciate functional art and are sensitive to the environment. There is much art that is viewed from a distance, our tables are art that should be used, touched, and be part of your daily routine. The three different lines and varied functions of our tables (coffee, end, bar-height) offer a broad range of use in homes in offices. Our wall tiles, wall panels and counter-tops take the idea a step further in the interior environment. Art comes in many forms but these are truly functional in nature. Share the brief back story of your design studio and how it came to be? 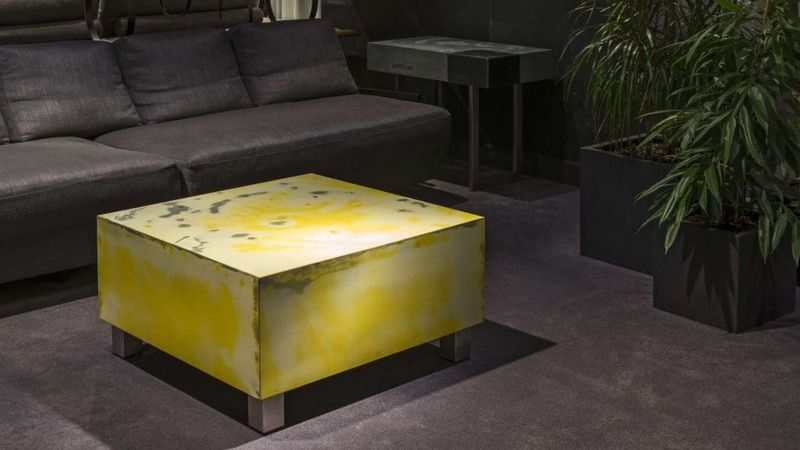 Peter Kalnins, one of the partners, had three beliefs that were the basis for making the tables and establishing the company: 1) Materials must be honest and have integrity. Automotive body panels are not plastic pretending to be wood – this is factory painted steel that deserves a second life. Saving this material from the crusher is good for the environment. Working to protect the environment is what responsible humans should be doing. 2) Tables need to be sturdy and truly functional. Everyone knows a coffee table that has a “shimmy and shake” problem. You can’t put a coffee mug on it, because 2-year-old Johnny will bump the table and the coffee will spill. Tables must be rock solid and should not dictate how you use them. 3) Art can be not only something you look at, but also something you can use, touch and enjoy in everyday life. As his background is engineering and architecture, Peter approached his friend and artist Kristaps Gulbis about creating art from reclaimed automotive steel to set into tables. Together they designed the tables and worked out the technical aspects of these table lines. What’s new and next for you? Within the last 12 months, we have launched the company and designed three lines of tables. We are going to Dwell on Design in LA at the end of June and ICFF in Miami in October. We have our tables in 3 galleries already two in Chicago and one in Riga. We hope to find more like-minded galleries interested in carrying our products. We hope to find our way into homes, offices and hotels in the US.